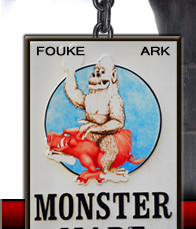 Denny Roberts, of the Monster Mart, has partnered with Lance Norman and author Lyle Blackburn to offer an exciting experience... a hosted campout in the Fouke area!! Lance Norman will be serving as the campsite coordinator, as well as the tour boat guide. A very limited amount spots are available, so call soon! - a unique and exciting experience in the heart of Southern Bigfoot country! - This campout will be "roughing it." - No cabins or permanent shelters on site. - Bathroom is the portable kind. - No showers or other conveniences. - sleeping bag, sleeping pad or cot, camp chair, boots, insect repellent, etc. Be aware that this is primitive country with wild hogs, snakes, alligators, wild cats, wolves, and perhaps an unknown species. 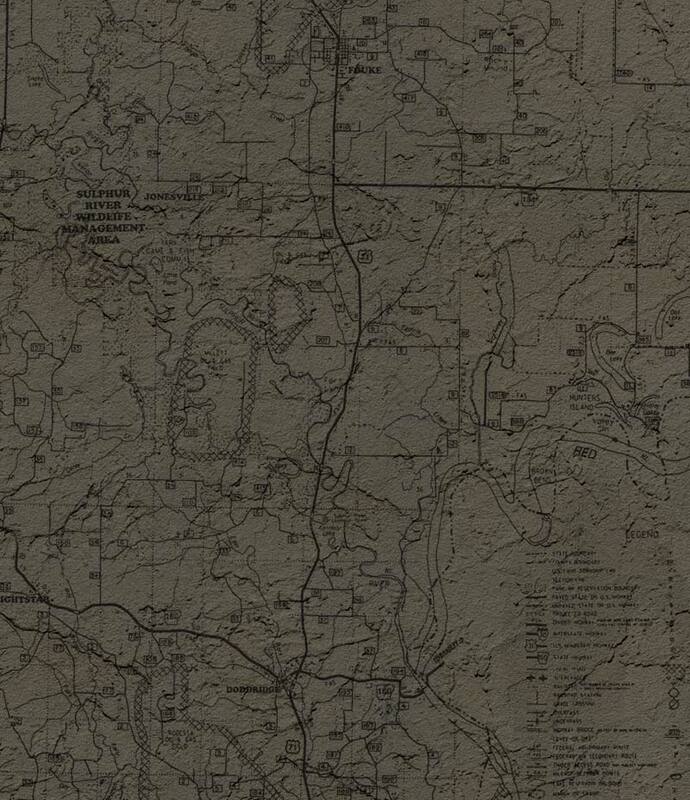 This is the land of the legendary Fouke Monster reported in the area since the early 1900s. Expect a once-in-a-lifetime experience, but don't expect modern conveniences. * Your hosts are experienced outdoorsmen, so rest assured your safety is our first priority. Campers should meet at the Monster Mart no later than 2:30 pm on Friday June 10. Click here for a Google map view.